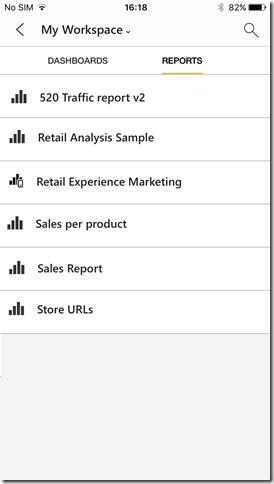 We are happy to announce the general availability of Power BI reports optimized for phones! Not long ago we announced the preview of phone reports, and now it’s time to make them available to all users. With Phone reports you can specifically tailor a portrait view of your existing report on Power BI Desktop for mobile viewers. 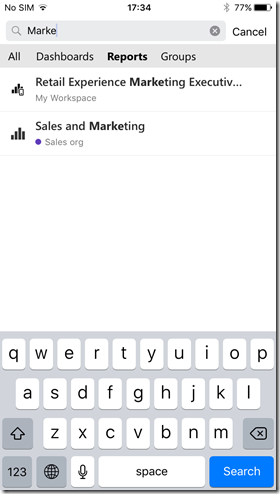 With this update, everyone can create report views optimized for phones, to enhance the experience of viewing Power BI reports on phones. Learn more about authoring phone reports in Power BI Desktop and the report experience on phones. Based on your requests, we have enabled the ability to scroll on phone reports. This means you can now add more visualizations to your report – up to 20 rows. When exploring a report on your device, the report will scroll, so you can see all your data even if it’s longer than a single screen. Learn more about the authoring improvements in Power BI Desktop release blog. Phone reports behave differently when you view them. For example they are always in portrait orientation, and have enhanced data drill capabilities. To help identify if a report is optimized for your phone, we added this new icon to phone reports. This icon appears in the report index and search results. Note that this icon only appears next to reports published after the global availability date. To add this icon to reports that you optimized during the preview, just republish them to the Power BI service. 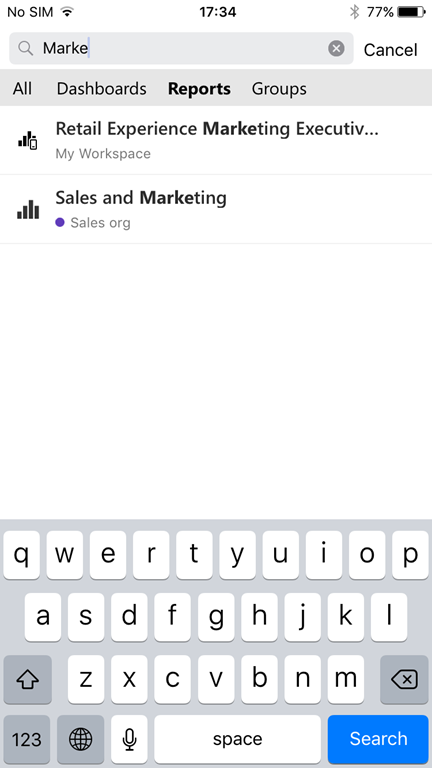 You can now manually refresh your phone reports by pulling down from the top of the screen on iOS or Android, or using the refresh button for Windows 10 Mobile. This will sync the report with the latest version published in Power BI Service. If your report is based on Direct Query, this action will trigger a query and get the latest data as well. We added collapsible headers and footers to maximize the screen real estate dedicated to your data. When you view a phone report on your device and scroll down using your finger, the header and footer disappears. The whole screen focuses on what really matters: your report data. If you gently touch your report again, or scroll up, all the menus reappear. You can now also share an annotated phone report or a specific visualization in a phone report directly from your Power BI app. See our December blog for more details. Based on the feedback you provided in preview, we improved the authoring experience for phone reports in Power BI Desktop and the exploration experience on phones. 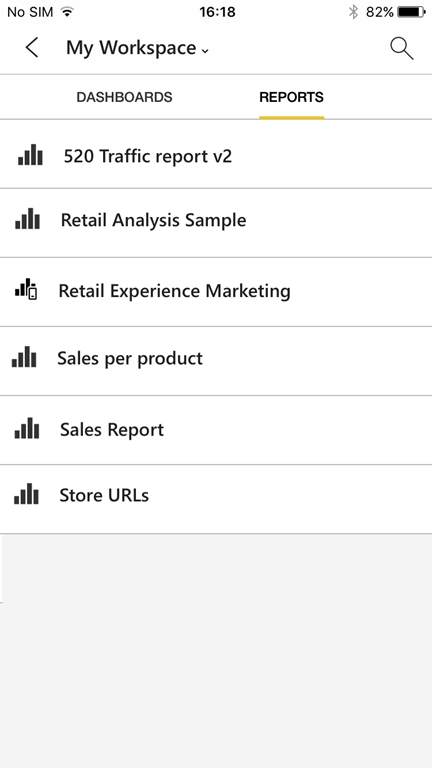 In Power BI Desktop, if you have a lot of visualizations in a report you can now scroll the visualization pane to browse all available visualizations and add them to your phone layout. Another improvement is that now visualizations in the authoring pane are zoomed in so you can see them better and identify each one. The improvements to the exploration experience focus mainly on loading times and performance. Thank you for all the support and feedback you’ve given throughout the preview. We encourage you to try out Phone reports, with a few quick and easy steps you can significantly enhance your mobile experience. Get started today.